The Beelink S82 Plus is the followup to the successful S82. Powered by the quadcore Amlogic S812, this unique looking Android mini PC runs Android 4.4.2 and supports the latest technology such as H.265 hardware decoding and wireless AC. Thanks to Pandawill for providing me a sample for review. Click here for the latest price. The Beelink S82 Plus is a round Android mini PC powered by the Amlogic S812 chipset. As seen with devices such as the Rikomagic MK12 and Beelink i One, this SoC offers solid media and gaming performance. The Beelink S82 Plus flies in the face of the “black slab” approach to Android mini PC design. 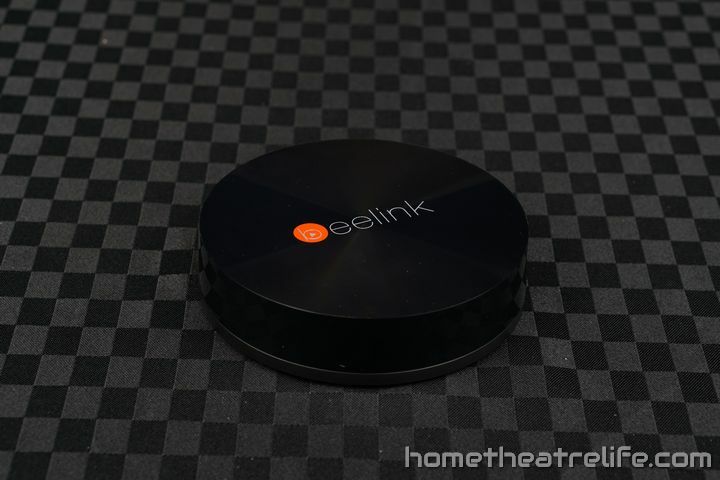 Instead, Beelink have opted for an attractive puck-style case which has nice grooves in the top. In fact, it reminds me a lot of a record. All of the ports are located around the back, following the curve of the device. The device won’t boot until you have pressed the power button. The first boot presents you with a setup wizard which takes you through the basics of getting the device connected to the internet and such. It’s great to see this appearing as it makes the device far easier to use. Booting wasn’t particularly fast, taking approximately 30 seconds. However, given that resuming from standby is essentially instant, I don’t think this is a significant issue. Beelink have modified the Mediabox launcher we’ve seen on a number of devices, adding a light blue color scheme which looks good. Moving through the various menus was smooth and everything responded well. Google Play is installed and the Beelink S82 Plus is rooted out of the box. EShare is Beelink’s application for sharing content between your phone/tablet and your Android Mini PC. I found the app quite impressive and genuinely useful. Using EShare, I was able to share movies and music to the Beelink S82 Plus. 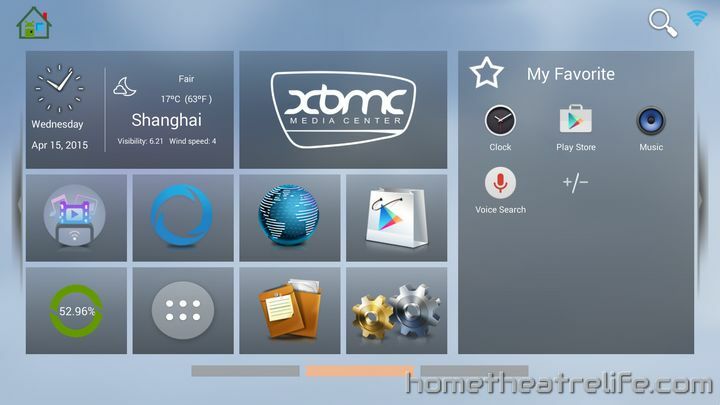 Additionally, the application lets you turn your phone into a remote or air mouse, as well as offering the ability to mirror the S82 Plus’ screen to your phone and let you controlling it which was really handy, allowing me to monitor the mini PC remotely. In order to test gaming performance, I fired up my two staples: Angry Birds and Beach Buggy Racing. Both performed excellently, with Angry Birds maintaining a silky smooth framerate, and Beach Buggy Racing performing admirably on maximum settings. The only slowdown I did notice was during heavy action sections. I was able to connect up my iPega PG-9025 via Bluetooth and play some games without any perceptible lag. Kodi runs smoothly on the device and navigating through menus was a breeze. Testing out a few common samples such as 4K H.264, played back flawlessly. To test out wifi performance, I streamed both 1080p and 4K H.264 videos from my server via Wifi. I didn’t experience any buffering and the videos started immediately. If you need to be connected wirelessly when watching videos, the Beelink S82 Plus has you covered. 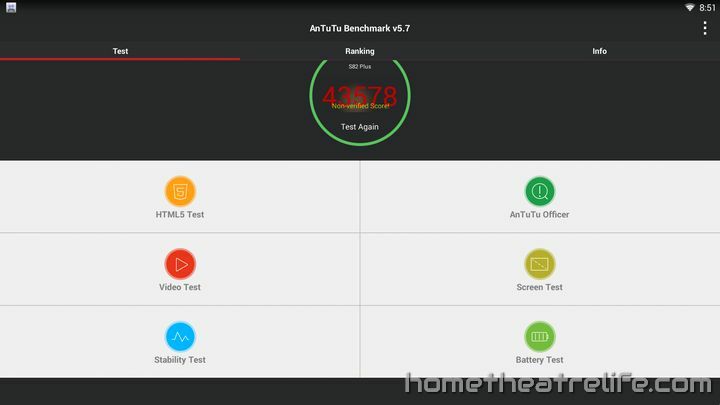 The Beelink S82 Plus scored 43578 on Antutu. However, the score was unable to be verified for some reason so take this score with a grain of salt. The Beelink S82 Plus combines an appealing design with a powerful SoC. During my brief testing, both gaming and media performance appeared to be solid so the S82 Plus is a good option for those looking for a good all-round Android mini PC. 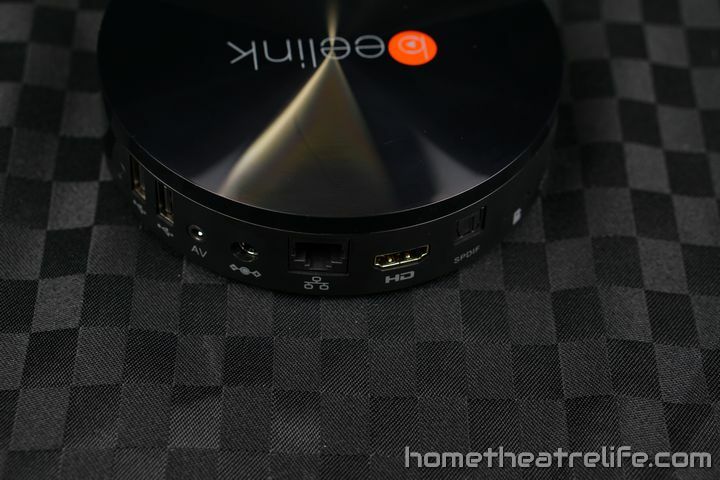 If you’re interested in getting the Beelink S82 Plus for yourself, click here to get one from Pandawill. Alternatively, you can get one from Geekbuying, GearBest or Aliexpress.